Sensei provides a full array of technologies to small and medium-sized businesses. We are proud of our IT consultants and their technical knowledge of the most prominent technologies in the world today. If you are interested in exploring partnership opportunities with Sensei, please contact us today. 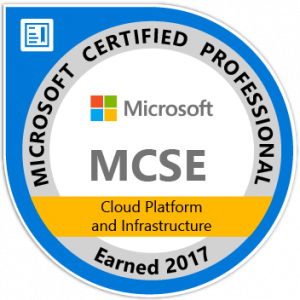 As a Microsoft Silver Partner, Sensei has proven that it has the experience and credentials necessary to provide a full array of Microsoft support to its clients. 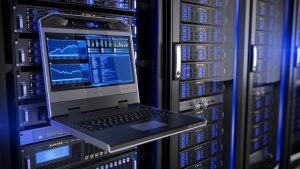 Whether its server operating systems or desktop software applications or Internet related applications – Sensei consultants are regarded as the experts according to Microsoft. As a Microsoft Partner, Sensei can provide current customers with Microsoft Financing to finance the entire project. Ask us about financing when you reach out to us. Sensei sells and supports Dell’s full line of desktops, servers, notebooks and peripherals. If you’re looking for a Dell Support consultant that can provide you Dell hardware at reduced prices, support on your dell hardware or just recommendations about Dell hardware and peripherals, look no further. Give us a call and we can explore your options. As a Citrix Silver Solution Advisor, Sensei has been given the designation that signifies excellence in the ability to install, sell and provide Citrix solutions to our customers. Sensei is a VMware Professional Partner (VIP) which designates that Sensei has certified consultants that have completed advanced training necessary to support VMware’s full line of software virtualization products. Sensei has the ability to install, sell and provide VMware software and support to our customers. Rocket Matter is a leading cloud-based solution that helps law firms offer better client service and also increase revenues by 20%. Rocket Matter offers an all-in-one legal practice management platform with the most powerful easy-to-use time and billing software on the market. When law firms want to make more money, go paperless, or increase confidence in their trust accounting, Rocket Matter helps them achieve those goals. Capture time easily and without thinking with our Bill As You Work™ technology. Run all of your monthly invoices with three clicks. Rocket Matter allows you to work from iPads, Macs, PCs, smartphones, wherever you are. Upload templates of frequently created documents for one-click creation with your Rocket Matter contacts and matters database. Track unlimited matters via handy dashboard views. 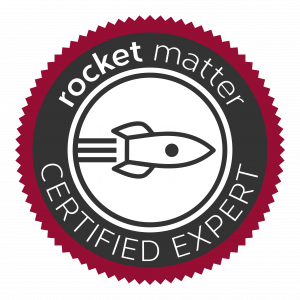 All Rocket Matter data is stored in a SAS 70 certified data facility. All traffic is encrypted over military-grade security, using 128-bit encryption. Organize and access documents, notes, image and media files. Save research URLS from LEXIS/NEXIS, Fastcase or Westlaw with your matters. Hold onto as much data as much as you want with our unlimited storage. Protect your data with continuous, georedundant backups each day. Enjoy synchronized access to your Dropbox, Evernote and Google Calendar via Rocket Matter from wherever you are. Enjoy easy training videos, free 101 session, and refresher webinars. Reach out to a U.S. based representative via phone or email. Our Product Specialists are here to help! Tabs3 Billing Software, the most award-winning software in the industry, has been helping law firms bill smarter for over 30 years. Track your time, create statements, allocate payments, and run client status reports with just a few clicks. Get your bills out faster and increase your productivity. PracticeMaster Practice Management Software seamlessly integrates with Tabs3 Billing Software, making it much more than just a calendar. While it certainly features powerful calendaring tools, PracticeMaster Basic also helps your law firm do the tasks it already does today, like contact management, conflict of interest checking, and e-mail management, only faster. PracticeMaster Premier adds advanced features, such as document assembly, area of practice templates for client data entry, calendar plan templates and more. Designed specifically for law firms, PracticeMaster helps your office stay organized and efficient. Contact us for more information. 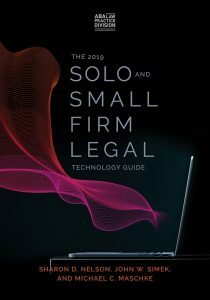 Clio is one of the leading practice management, time & billing and client collaboration platform for small- to mid-sized law firms. Your important client data is securely accessible anywhere – from your PC, your Mac, and even your iPhone. Clio leads the way in cloud-based practice management with a rich set of features that make managing everything from intake to invoicing a snap. With nothing to install, Clio can be accessed from Windows or Mac based computers using any modern web browser.